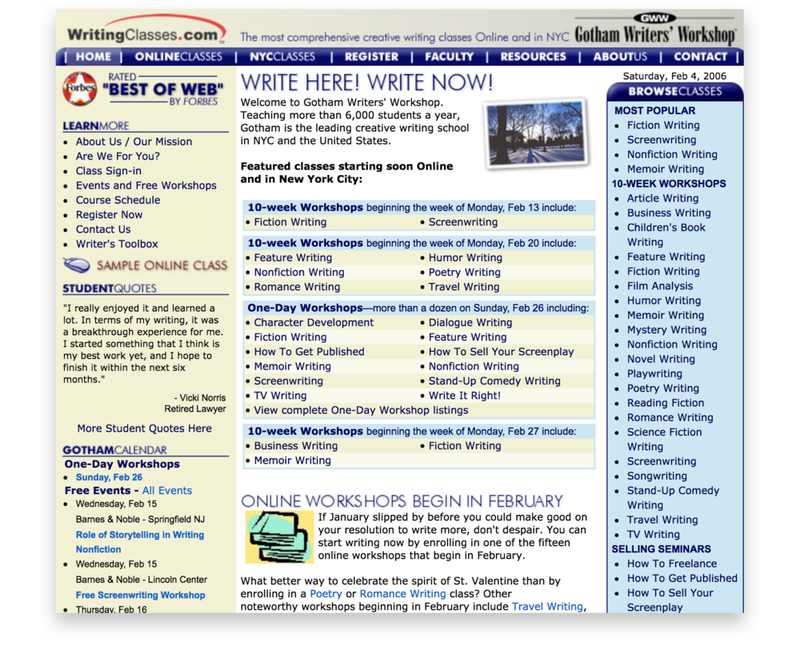 Gotham Writers Workshop is a New York City icon, providing the metropolitan area with expert writing classes for over two decades. With an ever-growing reputation and student body, Gotham approached Hyperakt to refresh their brand and online presence. As design lead, I was tasked with completely overhauling Gotham's website. I conducted a content inventory and reorganized their site structure, designed a friendlier UX for browsing classes, and optimized the checkout flow to become a more fluid experience. 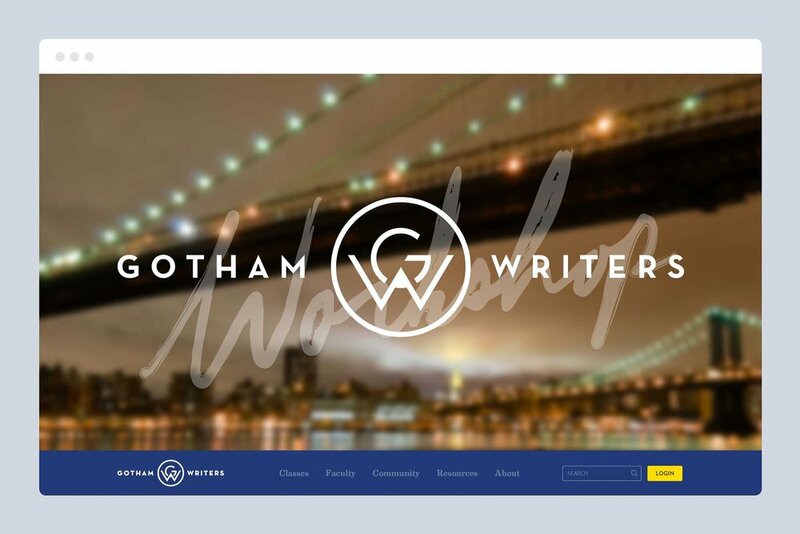 Gotham's original website was rich with stories, guides, and tools for aspiring writers. But the visual design and user experience took a back seat. Hyperakt's brand design team gave Gotham a vibrant new look, and with it, a visual toolkit to breathe new life into the website. I conducted a complete content inventory of the website and then restructured it section by section. The goal of the redesign was to emulate the lively community of people, ideas and stories that defined Gotham. A crucial piece of the redesign was getting the course catalog right. The browsing experience had to offer detailed course information while still feeling lightweight. The checkout experience was redesigned to have far less friction, ultimately resulting in increased customer conversion.